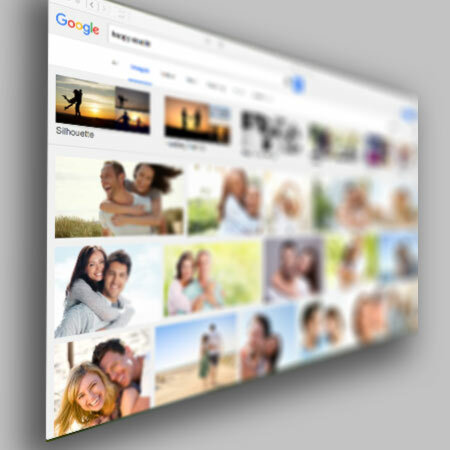 A surprising number of website users aren’t aware that it’s possible to gain search engine traffic from the images on their website. The problem for search engines is that they can’t identify the different elements in a picture. That means that they need you, the human, to let them know what’s going on in each picture. Filling out this information is actually a straightforward process, and an easy way to gain more traffic without having to pay for it. In this article we’ll look at some of the areas that you can optimize in order to gain as much organic traffic as possible. Optimizing your websites for search engine traffic starts before you even get on the internet. Instead of uploading images with random names generated by your camera, rename them to something that makes sense. So IMG4553 can become Boat Tied to a Dock. When you load an image to your website using WordPress you’ll notice an area to fill in the caption. While the caption isn’t responsible for directly increasing your website’s index rating with Google, it does serve a different valuable purpose. The caption gives you a chance to provide information about the image that may not be obvious, or information that you might want to highlight. For example if you have a picture of a building you might want to say what city it’s in and why it’s important. Or if you have a picture of a person, a caption can give you a chance to identify who they are and why they’re important. This provides a description of the image for users who have decided to disable images on their web browser. Alternatively, it also offers a description to a user in case the image fails to load properly. You should add in the SEO keyword that you’re trying to rank for into the Alt Text section. The description section is exactly what it sounds like. It gives you a place to describe your item, and this is the section where it’s important to include any keywords that are relevant to the image. However, creating unnecessarily long descriptions will not gain you more traffic and is best avoided. Give a clear enough description to describe the picture without being wordy. One of the recent additions to WordPress is the automatic optimization of images for mobile platforms. That means you no longer have to worry about resizing images to ensure that they look good on a smartphone or tablet. This is a welcomed addition to the WordPress platform, and if you haven’t updated to the most recent version of WordPress yet, now is definitely time to do it. Updating WordPress can also help to keep your website protected, a topic that we discussed in an earlier post: 3 Plugins to Keep Your WordPress Site Safe.